A consultation is the first step, this can happen a couple of different ways. Depending on your location, I can do a face-to-face consultation, over the phone or we can work together by emailing. I have a great questionnaire that makes figure out your needs fun and easy. 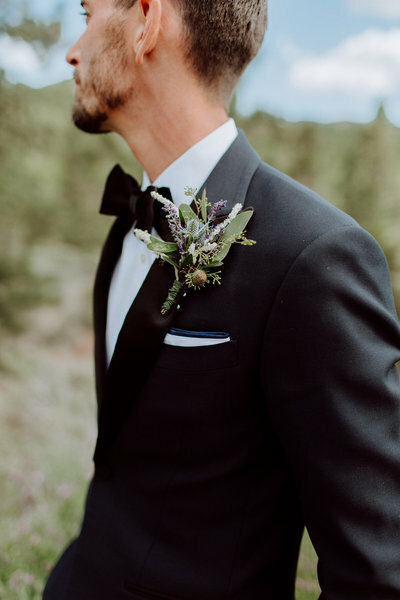 WHAT IS THE FIRST STEP IN PLANNING MY WEDDING FLOWERS? Yes! Your first consultation is completely complimentary to discuss your wedding needs in detail. I offer unlimited emails for any updates or changes that may occur during the planning process. Any additional consultations, meetings, vase/payment meetings or pickups and venue previews, will be a $50/hourly charge. There are a couple of things you will want to know or have before your first consult. None of these are absolutely mandatory, most of the consultation is figuring out what you want, but these can all be helpful in the planning/designing stage. PICTURES & EXAMPLE: Pinterest and magazine cut outs are terrific tools, if you have already begun to plan out your flowers before we meet. You can send me a link to your Pinterest boards and/or you can check out my business Pinterest which can give you some ideas of different flower choices, colors, designs and themes. COLORS & THEME: What are your colors? A “theme” or “look” is great too! What are you going for, a vision, these things will be important for me to envision your ideas and keep us both on the same page. QUANTITY: I will be asking questions about "how many?" How many guest, how many bridesmaids, groomsmen, tables, rows, etc. You may not have an exact count yet, a good estimate is great and finalized adjustments can be made later. 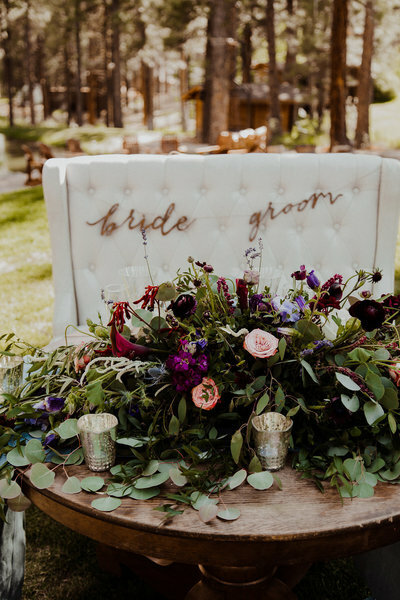 WHO TO BRING: You can bring whoever you want to help plan your wedding flowers. Or just bring yourself! I find that less can be more, and choose who you bring wisely. You can bring your mom, fiancé, sister, friends, bridesmaids anyone who you value their opinions. I always advise to bring someone who has the same interests as you and that they value and respect your ideas just as much as their own. 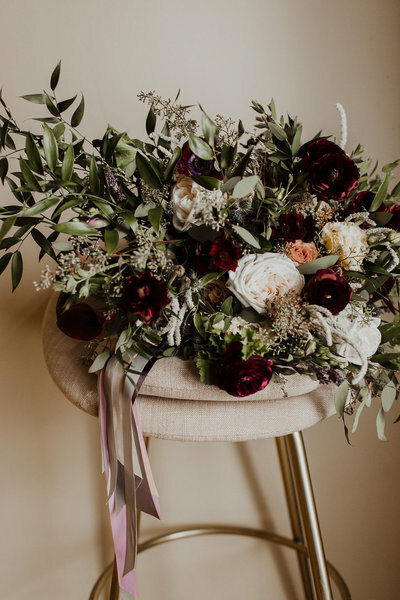 Planning your flowers should be fun, so bring whoever you want to share that experience with and who will bring positive creativity and excitement to the table. What should I bring to my consultation? Who should I bring? Flower prices range based on clients needs. Wedding flowers start at $1,500.00 for personal pieces only that are being picked up and $3,500 for full wedding services with delivery. I exclusively order flowers to cover your customized needs. This minimum insures the top quality of flowers and one-on-one customer service and attention. A 25% deposit and a small contract are due upon booking. The remaining balance will be due in 30 days prior to your event. Love and Lupines accepts cash, credit card or cashiers checks. Delivery is included in higher end wedding packages. Pick-up or delivery can be arranged depending upon your needs. A variety of our items are available to rent these items can be added to your wholesale or wedding flower order. Deposits are required on rental items.